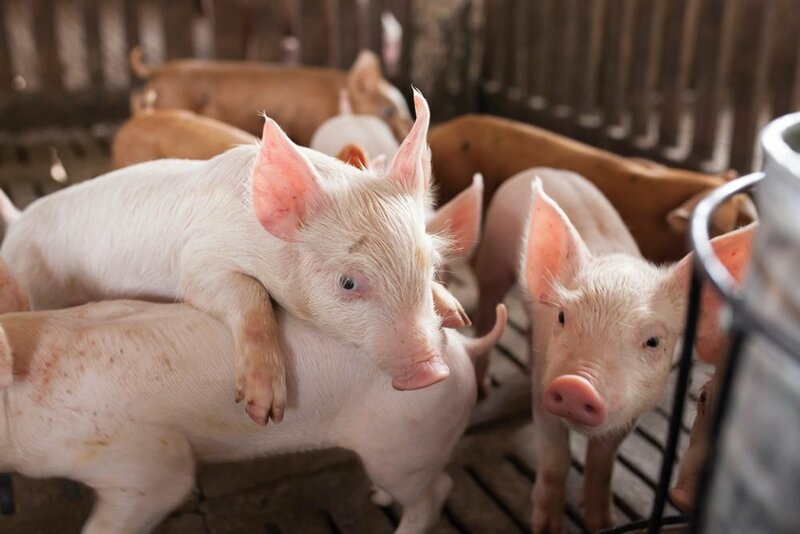 Deliberately exposing a sow herd to the virus that causes porcine epidemic diarrhea may seem counterintuitive, but it’s the best option when a facility is infected. Sows usually survive an infection, but there is high mortality among piglets. It takes about four to five weeks for sows to create antibodies against the virus, but they are then passed on to piglets through her milk, ensuring a higher level of piglet immunity. “As long as they are on mom suckling, five weeks after that first exposure, those babies are going to live,” said Marshall. This ‘controlled exposure’ scenario is standard operating procedure for containing an outbreak, as the virus is extremely difficult to eradicate through measures such as cleaning. “This PED virus is quite nasty in that it doesn’t take a lot of virus to infect,” said Marshall. “The number of virus particles it takes to infect an animal is less than anything anybody could imagine. One millilitre from a piglet into 450 tonnes of feed is still infective. It’s crazy.